A new memorial to William Blake? The Islington Gazette reports today on a campaign to erect a new memorial located on ‘the exact spot of the grave of one of Britain’s most famous poets – William Blake’. 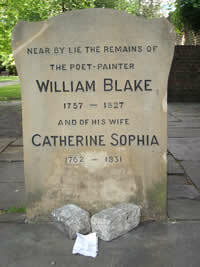 Enthusiasts claim to have located the exact place in Bunhill Fields Burial Ground where Blake was buried; you can see a picture of the spot with the newspaper article. As often, there is a motive: there’s money on offer for the park that receives the most votes from Londoners and visitors in the vote for your park campaign. What, I wonder, would he have made of all this fuss? 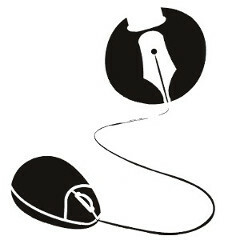 There’s more about Blake, including a picture of notes left for him by his gravestone, on the Literary Connections Blake page. Bunhill Fields also holds the remains of other famous Dissenters, such as John Bunyan and Daniel Defoe; more on the City of London page about the burial ground.